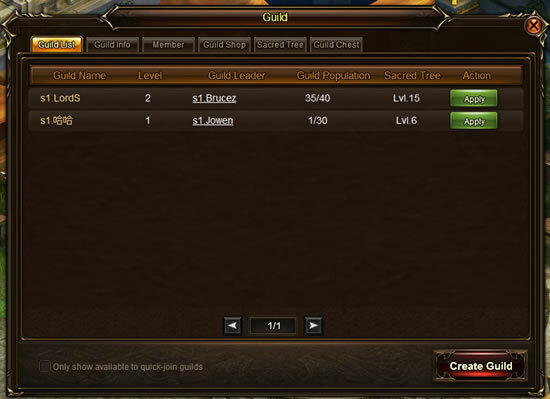 1.You can check all the guilds and their details in Lordsroad here. 2.You can check your guild’s information and join the activities of guild: Guild Quest, Sacred Tree Watering, Guild Chest and Guild Boss, all the activities can bring you wonderful rewards. 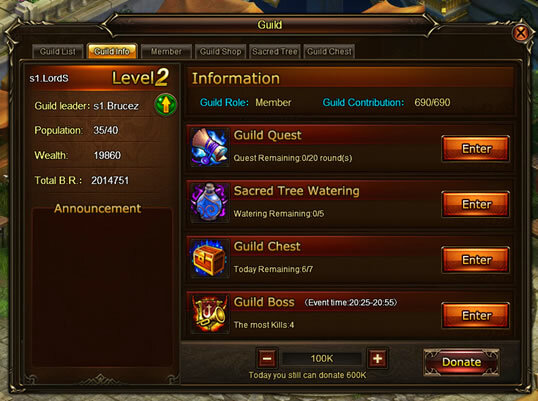 3.You will get Guild Contribution, Guild Wealth and Sacred Tree Aura form watering. 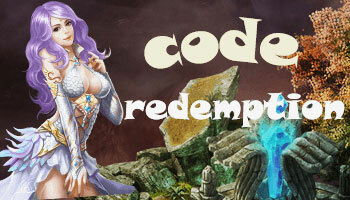 Guild Contribution: You can purchase items in Guild Shop by Guild Contribution. Guild Wealth: Guild Wealth is used to upgrade your guild’s level. 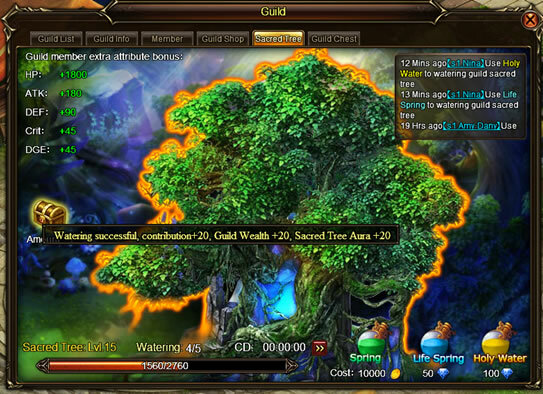 Aura: Aura is used to upgrade your Guild Sacred Tree’s level. 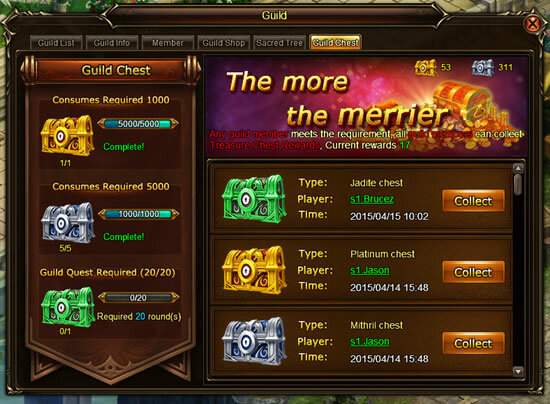 4.Any guild member meets the requirement, all guild member can collect Treasure Chest Rewards.